Miss Aurelia Trevor has a problem. Until she reaches the age of twenty-five, she will have no control over her beloved Pevensey Park, and by that time her unscrupulous uncle will have run the property into the ground. Marriage to someone other than her uncle's leering son is her only way out, but, one by one, she rejects the men on her list of suitors. In desperation, Aurelia does the unthinkable. She hires a solicitor to find her a husband strong enough to stand up to both her uncle and her cousin. And soon learns the truth of that old adage: Be careful what you wish for. Thomas Lanning is a man of City. Unlike Aurelia, who stands to inherit vast land and wealth, he has made his own place in the world. He is not at all tempted by the suggestion of marriage to an heiress, but other considerations, such as a power base for a seat in Parliament, tweak his interest. Plus an unexpected twinge of chivalry when he hears the full extent of Miss Trevor's difficulties with her uncle and his family. Aurelia, who only wanted to live in peace on her acres, finds she has acquired a ready-made family in Thomas's younger sister and brother, as well as a head-strong husband whose campagin for MP fills her household with a shockingly odd assortment of characters. It seems her marriage of convenience may have become a marriage of inconvenience. Just how far will this strong- willed pair bend to accommodate each other? And will they do it before it's too late? "Blair Bancroft's warm and tender [novel] boasts a great heroine in Aurelia: She's attractive, courageous, vulnerable and intelligent." "Reading how they gradually learn to like and eventually love each other is wonderful. 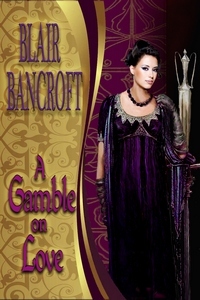 Blair Bancroft is now definitely one of my favorite traditional Regency authors and this book is a prime example of why." "Set against a backdrop of rural politics (and a fascinating look at the early world of "buying" votes) this is a story that entrances, enlightens and endears."